If you are a scientist, a large part of your career success depends on whether your research will be published, cited, and your project/grant proposals funded. As you’ve most probably already realized, even the most groundbreaking results will be neglected and often missed by the community if they are not effectively communicated. However, to effectively communicate, we should first understand the audience and how they consume information. The aim of this post is therefore to present a perspective on how most scientists read research papers when they first encounter them (which will most probably happen online). In the modern world we are bombarded with information. To cope with this overload, most of humans employ shortcuts which help us somehow weed out the unnecessary information and grasp the essential messages. This means that one has to learn how to manage time and do things effectively – including effectively reading. This “effective reading” also goes by another name: “scanning”. Scanning is the process of letting our eyes glide over a document and half-intuitively grasp the essential messages. We employ this process on a daily basis when we browse over the internet. We don’t read most of the webpages we open, we only scan them to find for clues of where to click next, or to find the information we are looking for. Do scientists employ the same strategy with scientific papers? The answer is: yes. 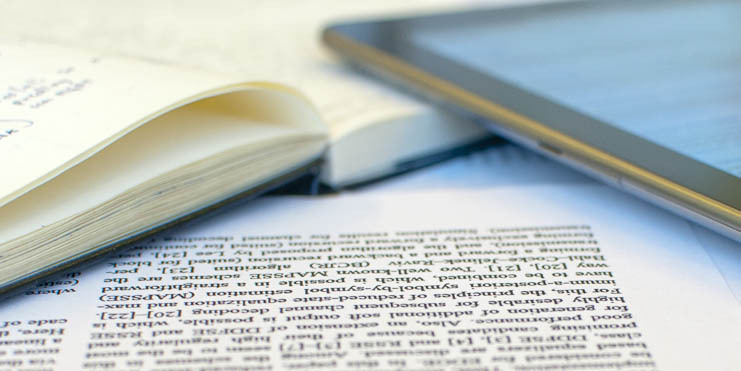 A lot of research has been conducted in the recent years about how scientists read scientific papers, especially when they first find them online. 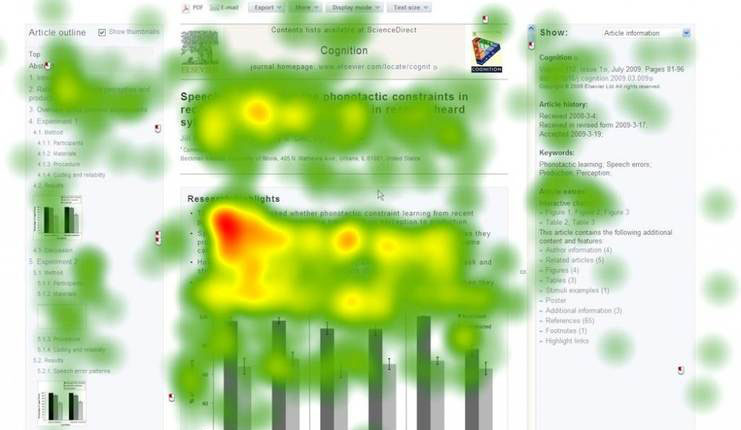 What they discovered (with eye-tracking methods) is that most scientists don’t read every word of the paper, but scan the various sections with varying degree of attention and thus decide whether they are interested in reading the whole thing. The behavior is similar to general scanning of webpages which is something most people do on a daily basis. It’s said that a picture is worth a thousand words. In journal papers, I’d argue that in most cases 1 minute spent reading a well prepared figure conveys much more information than 1 minute spent reading a paragraph of text. It seems that intuitively scientists already employ this method when reading as studies show that when reading scientific papers, scientists employ the scanning method and their eyes most commonly stop at figures. 3. What should we learn from this? If prepared correctly, the figures and captions allow the reader to grasp the main message of the paper and should also be able to grasp the supporting evidence. Such scanning can in most cases allow the reader to decide whether he is interested in detailed reading or not – and therefore download the paper and read it thoroughly. This is one of the reasons why graphical abstracts have become such a common part of research papers and why they are so favored by publishers. One of the advice about writing scientific papers I got when I started my PhD studies a decade ago was that I should (1) find the main message of my paper, and (2) create all the figures that will go into the paper first and then write the rest of the text. As the studies show, this isn’t a bad idea. 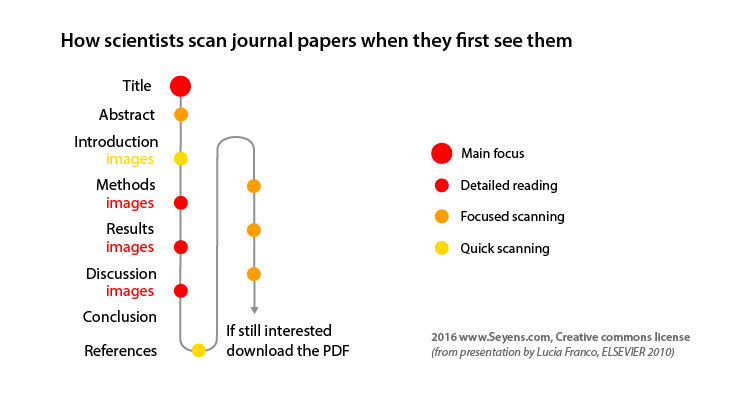 With some exceptions, scientists are very likely to first go over the images of your paper when they first open it. Therefore, when preparing your journal paper, have this post in your mind and bring all your figures together in a way that will convince the readers that your paper is worth reading and – hopefully – citing. Good luck! Jernej Zupanc (PhD in Computer Science, 2011) is the founder of Seyens Education Institute. He is an evaluator of H2020 project proposals and a published photographer. Thank you, we’re happy to hear that you find our advice useful! Hello, Thank u. It’s really constructive for me while preparing my PhD dissertation. Very helpful. I am currently doing research.